24 hour Our Central Station monitoring provides services to monitor fire alarms for commercial and residential alarm systems. The central-station may also provide watchman and supervisory services. 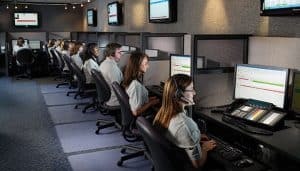 Central-stations use special telephone lines, computers, software and trained staff to monitor our customers’ security systems and call the appropriate authorities in the event an alarm signal is received.